Online Mahjong Tower Solitaire is another pyramid style mahjong solitaire game from Online Mahjong Solitaire.com. Work your way down this tower to open up the board for the most matches possible. 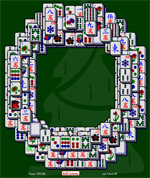 All of Online Mahjong Solitaire.com's games are won by ridding of matches one by one to clear the entire mahjong board. 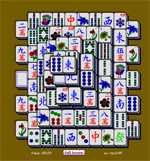 Look for the highlighted tiles, because these mahjong tiles can be selected for elimination. 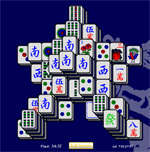 If they are not highlighted, the mahjong tile cannot be taken out at this time. Our games are specially made so that there is always a winning path of matches. Although, the fun of the game is to find that path- it's not always as easy as it sounds! But, keep at it, and beat that best time of yours over and over again! when you get a new record the dragon breathes fire! 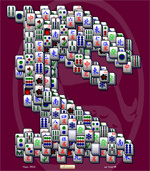 online mahjong solitaire.com is awesome!